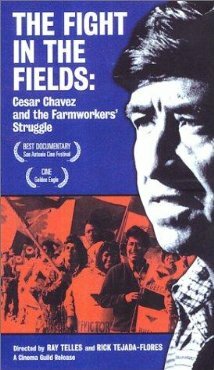 Join us tomorrow night, April 28, at 6:30pm for a screening of the award-winning documentary The Fight in the Fields: Cesar Chavez and the Farmworkers’ Struggle, the first film to cover the full arc of the labor leader’s life. Using archival footage, newsreel, and present-day interviews with his prominent contemporaries, the documentary traces the remarkable contributions of Chávez and others involved in this epic struggle. It offers a different look at the renowned labor leader than the feature film currently in theaters. Co-director Rick Tejada-Flores will be on hand to introduce the film and answer questions after the screening. This event is co-sponsored by the Albany Library, the Albany FilmFest, and the Friends of the Albany Library. Free.